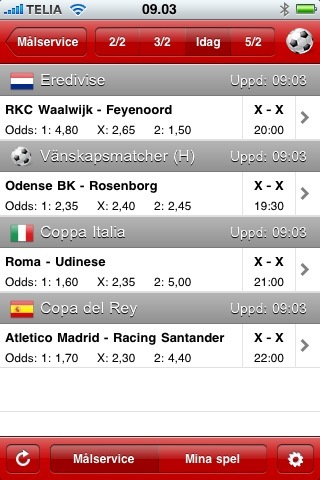 Today Svenska Spel launched an iPhone app where you can get results from matches and events. It is interesting and exciting to see that Svenska Spel are among the first operators to develop an iPhone app. You can see your current bets, but you can’t place any bets (probably because Apple wouldn’t allow it). I’ll use the app for few days and then write a review.